We had some very nice visitors from Dana Point Yacht Club in California, US on Saturday 9 June, when the Melbourne Osaka Cup 2018 was drawing to a close. 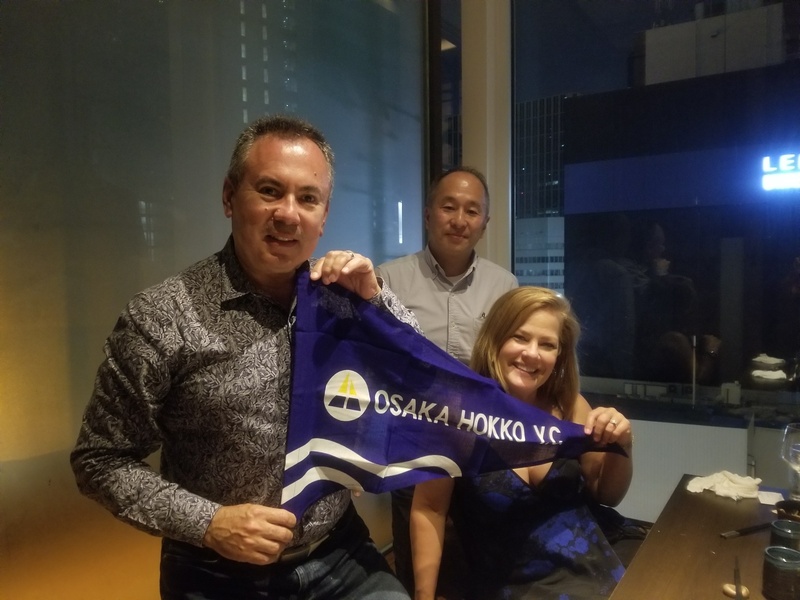 Mr. Javier and Mrs. Christine Valdivieso visited Osaka Hokko Yacht Club on behalf of their club officers and directors. 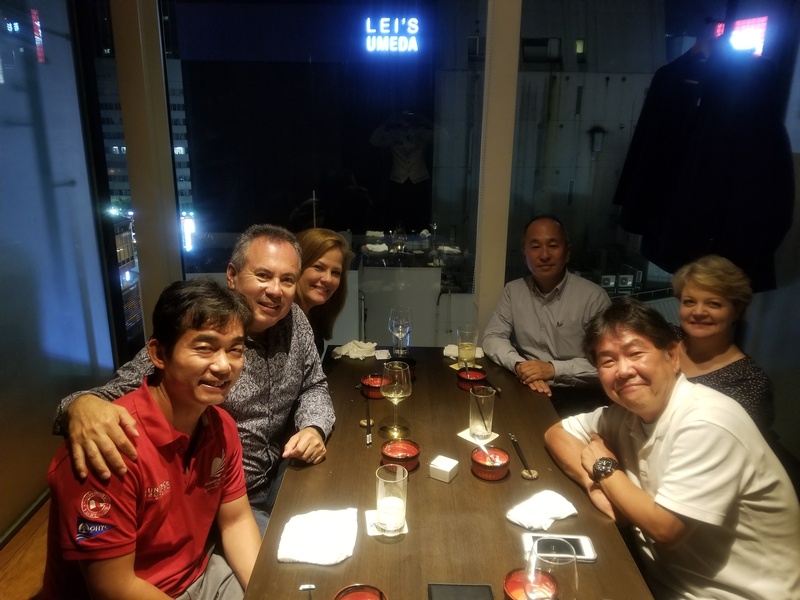 We were honored to receive a greeting from the Commodore Anne Eubanks of Dana Point Yacht Club (DPYC) on May 4, the day before the presentation ceremony of the Melbourne Osaka Cup race, and we took advantage of the contact to have a small dinner party. 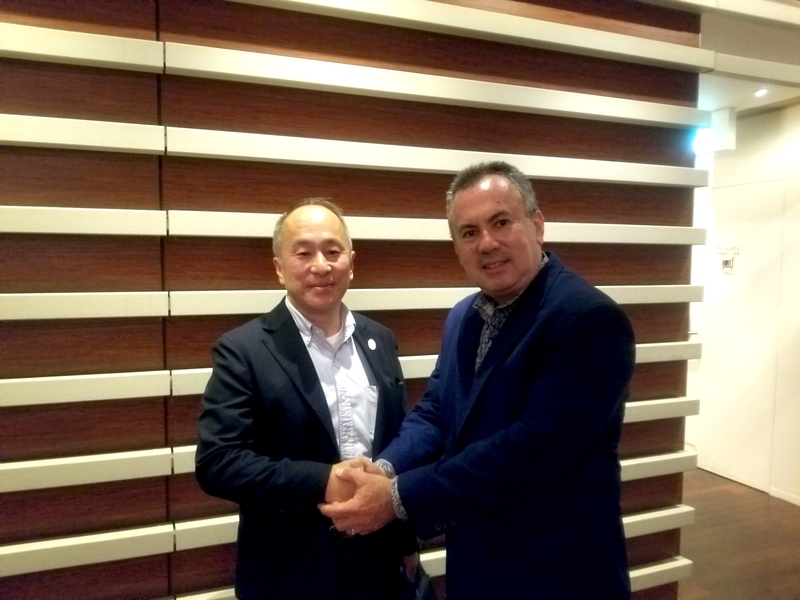 Commodore Norio Utsunomiya, Kei Morimura who completed the Melbourne Osaka Cup race, Cat Nakamichi who helped us a great deal as an interpreter during the race, and Hiroshi Horiuchi - a spokesperson, met the Valdiviesos welcomed them with a dinner party at the Hilton Plaza. Conversation became very lively when Javier, who is from Ecuador, and Kei got excited over the topic of the Galapagos Islands which is the inspiration for the name of Kei’s yacht name, Bartolome. We all had a very good time. It was great pleasure to meet representatives from a yacht club from far away and we were very glad to hear that they respect the Japanese culture and they like Osaka. We hope to see them again perhaps at Dana Point next time. Copyright © 2019 NPO法人 大阪北港ヨットクラブ.